Don’t wait to make your house a home! Bringing roofing, guttering, Leafx, windows, doors, siding, & sunrooms to Muncie and surrounding areas. When our owner, Shawn Clemens, founded Clemens Home Solutions back in 1998, he knew he wanted to own and operate an honest home exterior remodeling business that would put customers first. 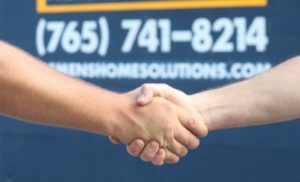 Since our founding, we have remained committed to our customers, and as a result, we have developed a long-standing reputation for being a consistent and reliable home exterior remodeling company for residents throughout Muncie, Indiana, and neighboring cities. In addition to being committed to customer satisfaction, we are also dedicated to selling and installing the finest products on the market. When you turn to us for your home exterior remodeling project, you can rest assured you’ll receive beautiful and masterfully crafted products that we firmly stand behind. This goes for all of our home exterior upgrades – gutters, gutter guards, roofing, windows, doors, siding, and patio enclosures. We don’t install anything we wouldn’t be proud to have on our own homes. We also ensure that our premium products are installed by skilled and trained technicians who can meet our high standards of professionalism. You can feel certain that your new home upgrades will be installed properly and that each part of the installation process will be completed with a level of craftsmanship and attention to detail that is difficult to find with other home remodeling companies. 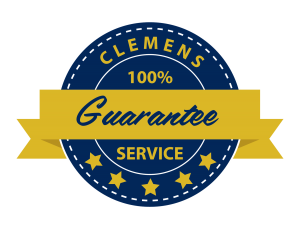 In fact, we are so confident in our workmanship, we back it with our Clemens Guarantee, which is a 15-year, full-service warranty that applies to all products we install. If you want to learn more about the products and services we offer, contact Clemens Home Solutions today. One of our friendly and knowledgeable associates will be delighted to answer any questions you have and schedule you for a consultation. Clemens Home Solutions is a leader in providing excellent, value added custom exterior solutions to our customers by creating a successful partnerships throughout the entire construction process. Our pledge is to establish lasting relationships with our customers by exceeding their expectations and gaining their trust through exceptional performance. Developing a motivated team of competent, professional employees and subcontractors. Constantly researching and learning about the newest products and best solutions for each situation. Providing in-house and on-site training programs for installers. Pursuing partnerships with suppliers to ensure that our installers are trained and certified. Create a great work environment for all employees and sub-contractors. Take pride in our appearance, in our work and in customer satisfaction. Apply highest standards of excellence to all phases of the construction process. Develop highly satisfied customers all of the time. Maintain integrity in all of our dealings. LeafX® is a premium gutter protection system that is constructed of 100% aluminum, requires no drilling into the roof or fascia of your home, and is only offered by authorized installation experts. Clemens Home Solutions is the exclusive distributor of LeafX in 13 counties in Indiana including Hamilton, Marion, Delaware, Jay and several others. We also recommend this product for the incredible warranty they offer. LeafX is the premiere gutter cover on the market. Thanks for finding us! We look forward to discussing your roofing, guttering, windows, doors, and sunroom needs! If you would like to receive a free quote, click here. 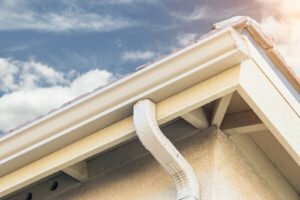 Roof:FREE gutter installation with the purchase of a new roof.